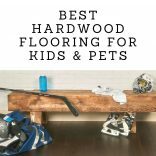 When you hear the words “hardwood flooring and kids or pets,” you probably cringe. Don’t let the fact of having children or pets steer you away from getting the floors of your dreams. 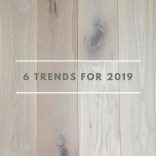 The trends we are forecasting for the 2019 year are not far off from what we have been seeing over the past few years. Take a look below as to what is expected for this year. 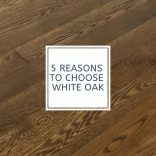 A hardwood flooring species that continues to dominate the market is the traditional White Oak. It’s that time of the year again, show season! 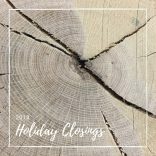 If you’re looking to remodel or build new construction, these are great 2019 shows to attend. 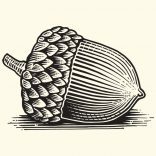 The Peachey Story doesn’t begin with a custom wood workshop in the foothills of the Appalachians. 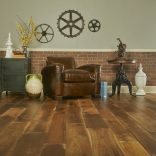 It doesn’t start with the skills of local Amish craftsmen creating unique, made-to-order flooring. Our story actually begins in the finest old-growth forests in America. 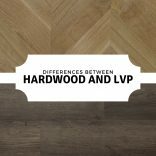 Looking to see what’s going to be trending in your home for 2018? Here is your guide to what is up and coming for this year. 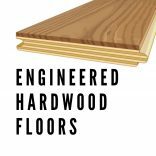 Ever wonder what the most popular hardwood floors are? What’s trending? Why it’s trending? We have the answer for you.